The election is fast approaching and people are showing their support with bumper stickers, yard signs, T-shirts and lapel pins. Now those who fancy a nice mani/pedi can even get into the act with politically-inspired manicures. Beauty brands are offering a plethora of products—from red, blue and white nail polish to perfectly designed nail patterns—and even celebrities are following this trend. 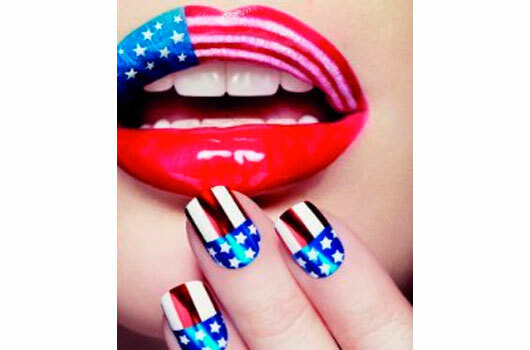 Go ahead, Democrats and Republicans…vote for your favorite nail look!